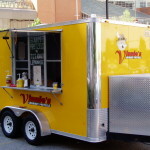 On this page you’ll find the current food trucks for sale in Kentucky. Each of the listings below will provide you with essential information about built-in cooking equipment, relevant permits (if any), fuel type, mileage, length / height of unit, asking price, and most importantly photographs. You can contact the owner of each vehicle directly by email and or telephone listed on each profile if you have additional questions or would like to schedule an appointment to view. As with any major purchase, it’s important to see the unit in person to audit the quality in person before buying. If you are not comfortable evaluating a truck or trailer yourself, bring a friend or individual that is knowledgeable about vehicles so you can be more confident in your purchase. 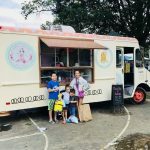 The purchase of a food truck is a significant investment and we want you to end up with a high-quality mobile unit that you can operate for years to come.